You work long (or not) on the ranking of your site. You are happy because you are progressing, but there are still sites positioned in front of you in the results. So the question that naturally arises is: “Why are they in front of me?”. There are probably several answers to this question. So we will try to list the criteria to be checked to understand the positioning of our competitors and see what preventing us from the top result. Therefore analyze the race for first place! It is a very important criterion in the ranking. Indeed, search engines rely more easily to a domain that is of a particular age. Thus an area a website that is 3 years old will have an advantage over one who has only 1 year. And it works at any age, but losing in importance with the years. That is to say that a site in particular field with 5 years will be less disadvantaged in relation to that 7 years than that by 1 year compared to 3 years. The whois will give you that age in general. There are also lots of plugins that firefox tells you the information. As you probably know, the netlinking is a cornerstone of SEO. So simply to put, it was more links pointing to our site, more website up in search results. For the number of links pointing to a domain, you must use the “link: http://www . your site . com” in Yahoo. Yahoo is the engine that produce the best results with this command, although it takes into account the nofollow links (not included in Google SEO). It is also interesting to see the percentage of links to the index page of a site. Each page to be optimized, the indexed page does not collect 90% of incoming links as is too often the case (and even with 90% we are nice ). It is also necessary that these backlinks are optimized for SEO. They must come from several and different areas. Indeed, a backlink from 100 different sites will always be better than 100 backlinks from a single site. The anchor of the link must be optimized for the keyword on which you are looking to set. A tool to check the anchors of links to a domain is Backlink Watch. Do not check everything because it will take a lot of time if you want to analyze twenty sites effectively, but take a look at the title and h1 tags. This will allow you to see the principal. And finally, We will give you the tool that we use on daily basis for the audit of the things described above. This is the SeoQuake plugin for Firefox. It gives you an overview of each site in a glance. This competitive analysis is therefore done in seconds and provides a quick overview of the problem. 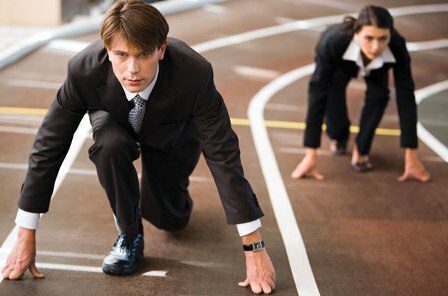 Now you know the specifics of your competitors and you can focus your actions to move ahead. So do work! This Article Has Been Shared 9372 Times! Cite this article as: Abhishek Ghosh, "Analyze the position of your competitor website," in The Customize Windows, March 17, 2011, April 26, 2019, https://thecustomizewindows.com/2011/03/analyze-the-position-of-your-competitor-website/.